Docker Inc., the chief commercial supporter of the open source Docker Project, has made its new container orchestration bundle available for download. The bundle, announced in December, includes beta versions of Docker Machine and Docker Swarm, and the 1.1 version of Docker Compose. Initially unveiled in December during the Docker EU user conference in Amsterdam, the orchestration tools are being offered as a significant expansion of the Docker, which has grown rapidly along with interest in micro-service architectures. To date, Docker has been downloaded more than 200 million times, the company says. 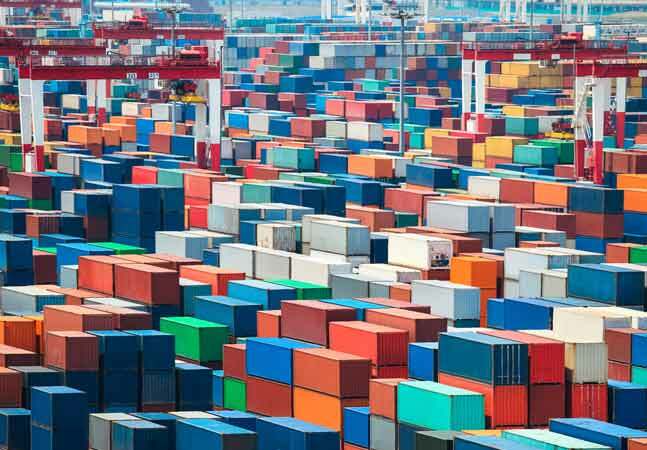 "One of the reasons that Docker has become so popular over the past two years is that it makes it incredibly easy for Dev and DevOps to create these containers and run them on their laptops, in the cloud, or on a VM in a datacenter, completely unchanged," Scott Johnston, senior vice president of Docker Inc.'s Product group, told ADTmag. "But as you get beyond a few containers to tens or hundreds of them, management can be a real challenge," Johnston continued. "This set of orchestration tools is designed to make containers more portable and scalable. They make it possible for an individual developer to leverage the same tooling as the apps are built and shipped from dev to build to test." Docker Machine is a service focused on the developer experience. It's designed to simplify and accelerate developers' ability to work with running Docker containers on any infrastructure. As the company says, it enables developers and sysadmins to go from "zero to Docker" with one portable command that works uniformly across infrastructures. Twelve drivers are available in this beta: Amazon Elastic Compute Cloud, Digital Ocean, Google Cloud Platform, IBM Softlayer, Microsoft Azure, Microsoft Hyper-V, OpenStack, Rackspace Cloud, VirtualBox, VMware Fusion, VMware vCloud Air and VMware vSphere. "This is what we mean when we talk about our expanding ecosystem," Johnston said. "We're very proud of our partner integrations." Docker Swarm is a Docker-native clustering solution that pools multiple Docker engines into a single logical engine. Its scheduling component finds the correct host in a cluster for specific containers, and then assigns the proper resources and leverages Docker Hub workflow for its host discovery. Swarm supports a "batteries included but swappable" approach, Johnston said, which allows for partner integrations that replace and enhance Swarm's capabilities. The company seems particularly exited about the integration of the Swarm component with third-party container orchestration products and orchestration services offered by cloud providers. Mesosphere and Docker, for example, have collaborated to develop reference implementations for Apache Mesos and the Mesosphere Datacenter Operating System (DCOS), Johnston pointed out. "We now have an interface defined, and the teams are working away, so that a Docker cluster defined by Swarm can land workloads on a Mesos cluster without any fussing on the part of the developer or DevOps," he said. Swarm integrations are planned for Amazon EC2 Container Service, IBM Bluemix Container Service, Joyent Smart Data Center and Microsoft Azure, the company says. Docker Compose 1.1 is a touchstone for developers, said David Messina, Docker Inc.'s vice president of marketing. "As they move from single container applications to sophisticated distributed apps," he explained in an earlier interview, "they want be able to assemble discreet containers representing individual services into a complete application stack. And they want to do it in a declarative fashion through a simple configuration file that effectively allows them to define what containers are part of the app and the dependencies among those containers, and then have a discreet distributed app that is 100 percent portable across infrastructures. That's what Docker Compose does." The service defines a distributed app stack and its dependencies through a simple YAML configuration file, he added, dramatically simplifying a complex process. A number of partner organizations offer statements of support for the new orchestrations tools, including IBM, Joyent, Mesosophere, and perhaps most notably, Microsoft: "Customers want container solutions that are open, portable and that don't place restrictions on application architecture," said John Gossman, architect for Microsoft Azure. "Working with Docker, we are delivering on that need, through offering extensions, templates and drivers that make it simple to deploy Docker's orchestration technologies on Microsoft Azure. We believe this makes Azure a great place to run portable Docker applications while giving our customers the flexibility and freedom of choice they require." Docker Inc.'s new orchestration tools are available now for download.